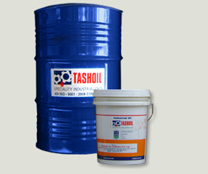 Oily Type Rust Preventives :: Tashoil Company Pvt. Ltd. The oily type Rust Preventives are used for protection of Metal components which are regularly comes in contract with moist air or salty air, condensed vapour etc. These are specially selected Non-asphaltic type products consisting of film forming agents & rust inhibiters in a selected Base oil, which gives a thin self-healing oily protective film on metal surface. These type of R.P. are ideal for ideal for storage of pipes, tubes engineering parts & metal components. These can be applied by dipping, brushing or spraying. These type of R.P. oils are widely used in steel & pipes industries, tubes industries, wires industries, Engineering & Auto parts manufacturing companies etc.